Dnjournal is reporting that Cruise.co.uk, based out of the UK, has purchased Cruises.co.uk in the single largest *.co.uk transaction ever for 560k euros (1.1 million US). This was apparently a private sale that had been in the works for quite a while. Nees Reisen, a German travel company, was the seller. 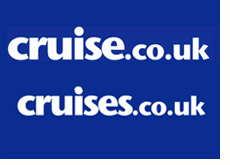 So what does Cruise.co.uk have planned for the new domain? Apparently they are planning on developing cruises.co.uk into a "new social networking site" and that cruise.co.uk will remain the company's core business domain. Cruise.co.uk is looking to maintain a stranglehold on the "Cruise" and "Cruises" keywords in UK searches, and this acquisition will certainly go a long ways towards enabling that. This was apparently the first reported million dollar domain deal of 2008. Expect many more as more and more businesses continue to engage in an "Internet land grab" that is fueling million dollar domain name deals. With many companies viewing radio, newspaper and television advertising as increasingly less cost-effective than Internet advertising, there is a tremendous amount of money being spent online to develop a web presence. Expect many more types of deals such as this throughout the remainder of 2008 and beyond.